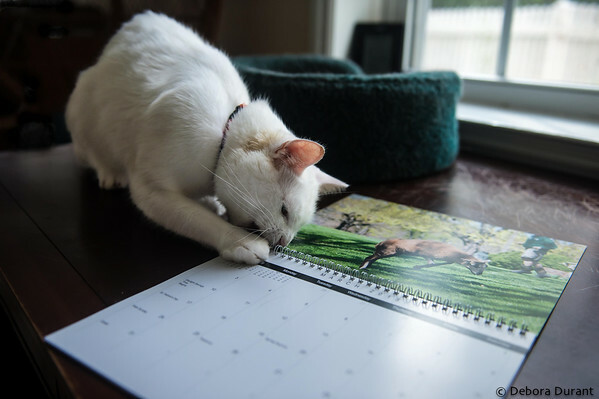 Between travels and working on the calendars for the sanctuary, I’ve neglected the blog! The calendars are now done, and a batch has been ordered to get here in time for the Open House, on October 7. It always feels good to get the calendar done – it’s a much bigger project than it seems like it would be! I’ll post a link to where they can be bought online soon. 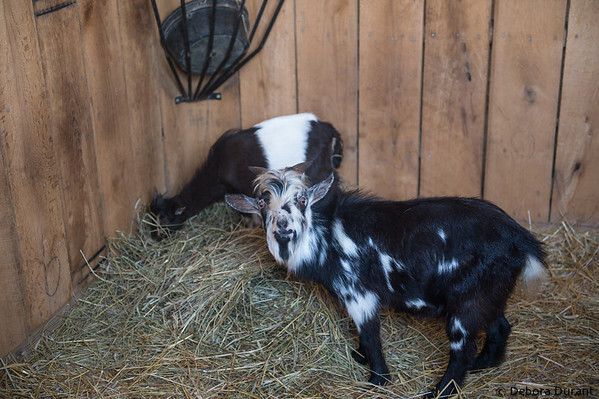 Almost two weeks ago two new goats arrived at the sanctuary. They are pygmys, which means they are very small – even smaller than you’d imagine! Even knowing ahead of time that they were tiny, I was still surprised when I saw them. Napoleon is full grown, and about the height of a water bucket. He is wary of people, but I think he’ll come around pretty quickly. He seemed more interested-but-wary than freaked out when we peeked into their quarrantine stall last Saturday, and today he was letting Terry touch him to a limited degree. Sebastian is only 6 months old, and he seems to be used to being held already. He certainly didn’t mind all the chin scratches he was getting! The other recent arrivals from a hoarding case, The Nine, are settled in and doing really well. So far, they have remained a group, and can generally be found with each other. I haven’t made much progress learning their names so far, I only know a few! And four of the Nine are buff girls who look almost identical. I know one is Cindy…she was the friendly one when they first arrived, but now they’re used to people being treat dispensers, so they’re all pretty friendly! A few of the nine…Frankie is the one in the middle with the dark fluffy head. 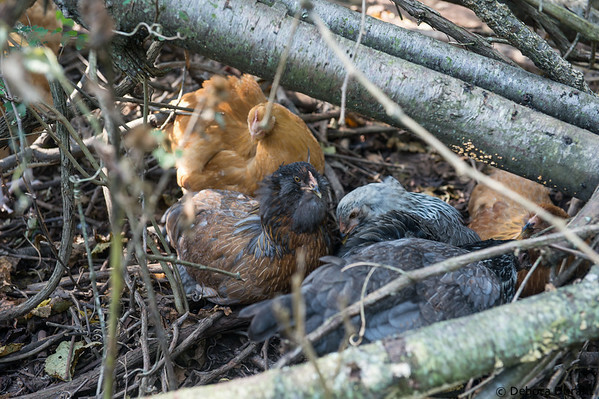 Carole and Ziona, the weekday staff in the chicken yard, will be able to help me learn their names when I see them at the Open House. I’m sure they already can tell the buff girls apart! After chores were over last Saturday, Terry dragged a fallen tree branch from the parking area to the goat yard so she could throw it over the fence on the far side of the goat yard, into the forest. 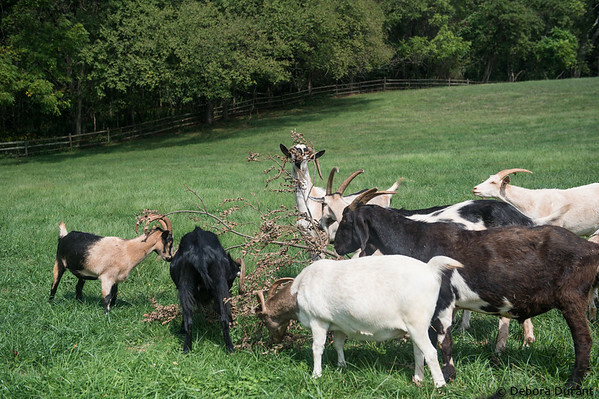 The leaves on the fallen branch were completely dead, not something she thought the goats would be interested in, but from their reaction you’d think that it was the best treat in the world! 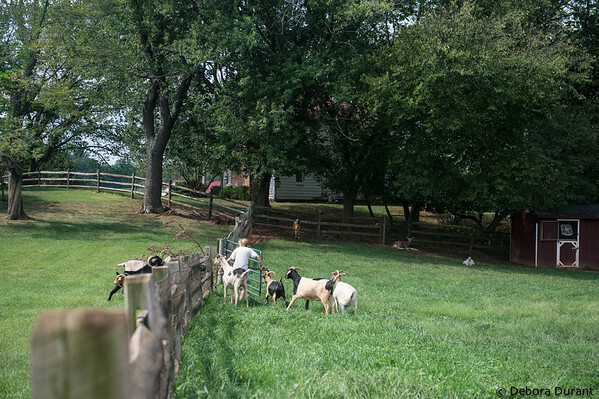 They started rushing toward the goat yard’s gate as soon as they saw Terry heading there with the branch. Once she had the gate open, she could hardly get through because they were already starting to eat the leaves! Taking a wild guess, we can only conclude that goats love dried leaves from walnut trees. If you follow Poplar Spring on facebook, you probably saw the update this past week about the new piglet, Isaac. He is actually a wild pig, was rescued from the flood waters of Hurricane Isaac, and was cared for by Rescue Ranch. One of the long-term PSAS volunteers happened to be down there helping care for animals impacted by the hurricane, and he facilitated little Isaac’s move to PSAS. He even cancelled his flight home so he could drive Isaac all the way (18 hours!). When I saw his picture, I thought he looked like a Duroc – three pigs who were rescued a couple years ago are Durocs, and he looks a lot like them. I mentioned it to Terry, and she agreed. She thinks that there were some domestic pigs that were released years back, and Isaac is one of their descendants. So, a wild pig, but a domestic breed. Isaac is so cute! Very sweet and friendly, rolls over for belly rubs already. He isn’t phased by much of anything. He came down to the chicken yard with us, and he had a great time exploring and rooting. The chickens and turkeys and peacock were very very interested in him, but a bit scared of him too. They’d gather around to watch him, and then scatter with alarm calls when he turned toward them. GAH isaac is sooo cute! i don’t even know what to do with myself.